On rolling, green grounds near Point Defiance Park, Franke Tobey Jones, a 20-acre retirement community, has been a part of Tacoma since 1924. During that time, this not-for-profit entity has proved itself to be a good neighbor and an asset for the entire city community. Nothing demonstrates this more clearly than does its Senior University program. Senior University exists because staff members seriously addressed the premise on which Franke Tobey Jones operates: “to enrich and expand the quality of life.” As the staff explored the ramifications of what they wished to accomplish, they realized that the community they wanted to serve included not just the 62+ age resident community but also the 55 and better community at large. In 2007 the first steps were taken. The staff wanted to offer education and activities that had substance to them. They networked with faculty from the local academic communities. The first cooperative effort was with the University of Puget Sound, which was later joined by Tacoma Community College, University of Washington/Tacoma, Clover Park Schools and Pacific Lutheran. One staff member was quite active in the arts community, which proved to be a valuable resource. Senior University has also collaborated with the Elder Hostel program, a fee-based curriculum, and usually, therefore the only Senior University offering that has a fee attached to it. 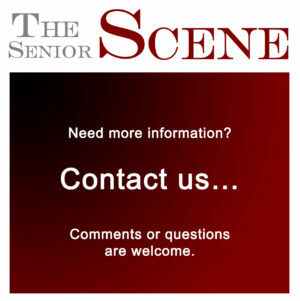 In these first five years of operation, Senior University knows it has touched the lives of at least 600 individuals. The new Director of Senior University, Kitty Custer says she anticipates being able to continue building on the curriculum that Cherilyn Williams had developed. She hopes the word will get out into the community so that Senior University might be able to serve an ever-larger number of people. In addition to a core curriculum on health and wellness issues such as chronic conditions, Senior University offers a variety of courses that appeal to the creative mind and enhance knowledge and experiences in visual arts, literature and music. Some classes require pre-registration in order to keep the class size a workable one within the constraints of the classroom size. An example of this is the creative writing class, “What I Have to Say about My Life Journey” with Jan Lawry. This ongoing class provides an opportunity to discuss the development and use of one’s core values, then see how they apply to making important decisions. Each month, a different aspect is covered; for Feb. 3 and Feb. 17 the work will center on “Who is your family?” and March will cover work history and education. 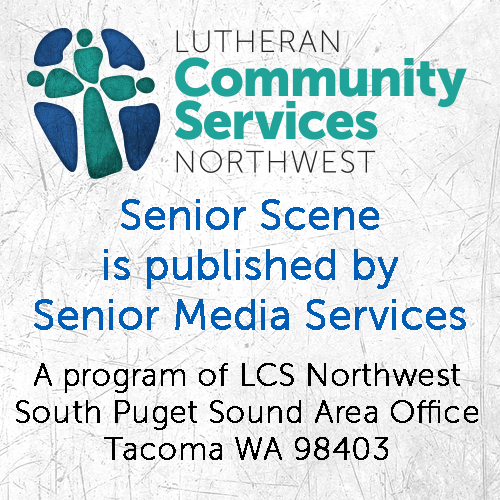 The class size is limited to eight, so registration by calling 253-752-6621 is required. Another class that requires pre-registration because of space limitation is “Poetry Workshop: Writing Deeply.” Participants will have an opportunity to examine, discuss, write and receive gentle critique. 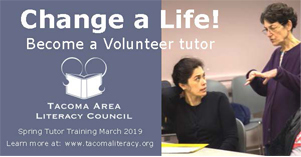 Tammy Robacker, former Poet Laureate of Tacoma leads this two-hour, Tuesday workshop beginning on Feb. 7. Oil Pastels with Lia Cravens (one day, two hours) and Acrylic Collage with Roxanne Everett (two days, 4hrs. each) require a small fee. For more information about these and any other offerings, check out the Franke Tobey Jones web site at www.franketobeyjones.com and click on “community programs.” This will give you some choices, so click on “Senior University.” Then click on “Feb 2012 Description of Courses.” Check the calendar page often to see if additional courses are being offered. The web site also offers a map and set of directions on how to find the campus. A rule of thumb regarding the role of weather in determining if classes will be held: if Tacoma Schools are closed, there will be no university classes. Log in | 47 queries. 1.361 seconds.